This would be kinda funny if it wasn’t so damn sad (or real life). Check out this video of mother-of-three Karen Lamoreaux, member of Arkansas Against Common Core, completely owning the ridiculous educational failure that is the Common Core State Standards in her testimony before the Arkansas Board of Education on Monday. Too bad the board cut Lamoreaux off after only four minutes. She didn’t even get a chance to mention the privacy and testing concerns she had. Then again, to list all the concerns she probably actually has about Common Core wouldn’t have taken a mere session; it might have easily taken all day (or week… or month… or…). Dumbing kids down is absolutely right. Apparently if you just know how to do simple math because it’s, well… simple, under Common Core, your answer would still be counted wrong because you didn’t do it in some convoluted, idiotic way that basically renders doing the math entirely pointless by the time you’re finished anyway. A simple 4th grade division problem regarding 18 students counting off to 90 takes an absurd 108 steps to get “right” via Common Core? These are the “rigorous” standards that will make our children “college-ready”? Wha…? Did the Mad Hatter from Alice in Wonderland write these standards when he was smoking crack? Wooooow. No wonder New York principals are reporting deep concern over the fact that their elementary school students are becoming so upset during Common Core testing, they are literally throwing up and soiling themselves. That’d make me want to puke, too. A new series of videos created by the folks on Sesame Street is a propaganda program designed to help children accept the fact that daddy is in jail. It’s OK kiddies, it’s almost inevitable given that 3 percent of the American population is currently under some type of correctional supervision. Just write him a letter and you’ll feel fine. In the first video, “What is Incarceration,” young Alex, whose father has been incarcerated, is told that laws are “grown-up rules” and if someone breaks the rules they have to go to prison or jail. Sophia, the adult human who’s schooling Alex on the acceptability of having a father who’s broken the ‘grown-up’ rules and been incarcerated, explains to Alex that it’s OK to feel angry or confused because that’s exactly how she felt when her father was incarcerated. According to Sophia, all you have to do is talk about your feelings, draw a few pictures, write letters to your dad, and toddle off to visit him in jail every now and then and everything will be all rainbows and lollipops. In October 2012, Mitt Romney made headlines during the first presidential debate when he said one of the things he’d do to bring down the deficit was cut funding for PBS. Millions of Americans took to Twitter and thrashed Romney for threatening to kill Big Bird, but they didn’t listen to the whole statement. After Romney’s “Death to Big Bird” speech, American Thinker asked why, Elmo, Bert & Ernie, and Big Bird should continue to receive more than $7 million annually in federal subsidies when, according to the tax forms, Sesame Street was paved in gold. So why the need for a government subsidy for a street full of already uber-rich puppets? Because the creators of Sesame Street are doing the government’s work so they deserve a piece of the government pie. 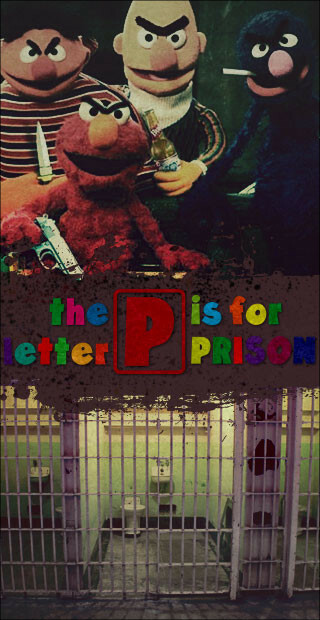 The Sesame Street incarceration videos are designed to desensitize Americans of all ages and help us to feel comfortable with the idea that prison is an inevitability for most. But the fact is, prison is Big Business these days and we need to keep the machine well-oiled. Using those big crimes to create an atmosphere of fear allows lawmakers to implement legislation for tougher penalties and to criminalize even more mundane acts, like the 14-year-old who’s facing jail time for wearing a pro-NRA t-shirt. But what it really does is allow them to push through funding for more and more prisons so they can house more and more prisoners and use them as free labor. Use government handouts to keep Americans poor and down-trodden, then criminalize every minute behavior such as riding a bicycle on the sidewalk or wearing a hoodie and walking in the wrong neighborhood, and of course daddy’s going to inevitably end up in jail where he can “pay” for his crimes. Scientific studies have linked fluoridation of the water supply to lowered IQs, increased risk of cancer, and bone disease, amongst other conditions. So why do we still fluoridate? As researchers like Anthony Gucciardi warn, fluoridation may in fact only be the thin edge of the wedge when it comes to forced medication of the population. This is the GRTV Backgrounder on Global Research TV. The influence of social media, games consoles and mobile phones on pupils’ lives is one of the biggest crises facing the modern education system, it is claimed. 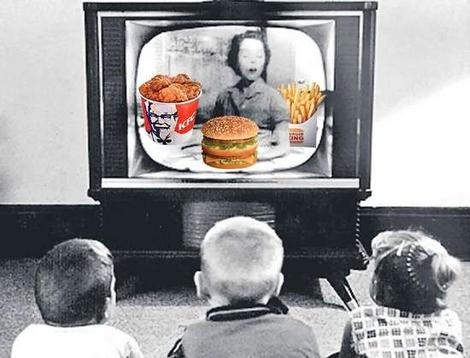 David Boddy, chairman of The Society of Heads, which represents more than 100 independent schools, says the country is in the grip of a “national attention deficit syndrome” because children spend so much time plugged into screen-based entertainment. In a speech today, he will warn that children are now unable to concentrate “for more than the shortest of periods”. The decline is being fuelled by a breakdown in traditional family units, with children expending large amounts of energy being pulled between divorced parents, he says. Mr Boddy, headmaster of St James Senior Boys’ School in Ashford, Surrey, also claims that pupils are losing the art of “proper concentrated conversation” because they are so used to communicating with friends via Facebook. Speaking to the association’s annual conference, he will call on private schools to focus on a number of key priorities needed to improve the education system over the next 20 or 30 years, including “cultivating every child’s powers of concentration”. He will tell the conference, which will be attended by the Princess Royal, that schools should focus on developing pupils’ creativity and emotional awareness instead of a “narrow” emphasis on improving exam results. The comments follow those made by on Sunday by Richard Harman, the headmaster of Uppingham and chairman of the Boarding Schools Association, who claimed that teachers and parents risked causing damage to children’s long-term development by hothousing them to pass tests at a young age. Mr Boddy, a former journalist, who acted as Margaret Thatcher’s press secretary between 1979 and 1983, claims that Britain’s independent schools are among the best in the world. He warns that this breeds the “politics of envy” in those parents who want the best education for their children but cannot afford the fees. But addressing the society’s conference in south Wales, he will claim that schools need to use their independence to respond to a series of challenges facing the modern education system, including combating the influence of modern technology and family breakdown. “Every teacher knows this: the real crisis in education today is the inability of children to concentrate for more than the shortest of periods,” he says. “There is a national attention deficit syndrome and it is by no means limited to medicated children, of whom there are far too many. We need to understand why this is. “What part does being perpetually plugged into iPods and the like play in this? What part does family becoming dysfunctional play in this? Mr Boddy suggests that children are also struggling to make face-to-face conversation with their peers because of the influence of social networking websites. “Children think they have friends when Facebook tells them so, but they are losing the art of proper concentrated conversation; they are losing the ability to respond to seeing a need because they are not aware enough that the need is there,” he says. In his speech, he warns that schools have to focus on much more than exam preparation. Mr Boddy says heads must take action to “ensure that we do not have to say sorry to a generation of young people; to apologise to them in 20 or 30 years from now that we did not meet their needs because our outlook was too narrow and too short-sighted”.